Temitope is dedicated to promoting human health within the broader context of human development. He is a public health physician, public policy advocate and an international development aficionado. 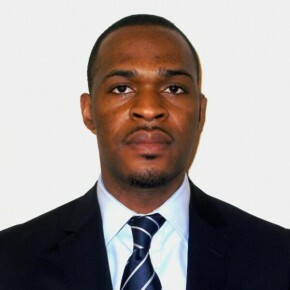 Temitope is currently an Epidemic Intelligence Service Fellow at the Centers for Disease Control and Prevention (CDC). His health and international development experience includes working with the Department for International Development (DFID), United Nations Population Fund (UNFPA). He is a member of the management team of Strategic Research and Management Insight – a start-up health research and data analytic company in Lagos, Nigeria – and a Consultant to the Nyes Institute, a global health collaborative of international physicians and academics. From his early school years, Temitope has followed his interest in public health. Notably, Temitope coordinated the Campus Health and Rights Initiative, an NGO whose mission is the promotion of the reproductive health of young people in southwest Nigeria. He has been involved in various policy forums that address young people’s health. He served as a technical resource aide to the National Consultative Forum on Advancing Young People’s Health and Development in Nigeria. While at Oxford University, Temitope was a Graduate Ambassador of the University Development Office and spoke in different fora including addressing the Chancellor’s Court of Benefactors. As the co-chair of the Oxford University Pan-African Conference, Temitope led a team of 15 volunteers and successfully organized a conference gathering of over 400 participants including eminent scholars, entrepreneurs, activists, political leaders and heads of government from Africa. Temitope is a recipient of various awards and fellowships. In 2008, His outstanding research in public health was recognized by the International Conference on Global Health in Washington D.C. as a recipient of the New Investigator Award. He was a recipient of Blavatnik and BP scholarship for his academic excellence and leadership potential at the University of Oxford, Blavatnik School of Government in 2012. He also is an Associate Fellow of Nigeria Leadership Initiative (NLI). Temitope belongs to various professional societies and groups. Among others, he is a Fellow of Royal Society for Public Health (RSPH), a member of America Society for Tropical Medicine and Hygiene (ASTMH), America Public Health Association (APHA) and International Society for Infectious Diseases (ISID) and the World Economic Forum (WEF) Global Shapers Community in Oxford City, United Kingdom. Temitope holds a medical degree from Obafemi Awolowo University, Ile-Ife, Nigeria, Master of Public Health (MPH) degree from Harvard University and a Master of Public Policy (MPP) degree from University of Oxford. Temitope carried out a critical analysis of sexual and reproductive health services on Canadian university campuses. Using McGill University as a case study, he evaluated the degree to which such services meet the needs of students. Based on his findings, he designed an adaptive model for promoting sexual and reproductive health on university campuses in Nigeria. The opportunity to interact with an amazing cohort of brilliant minds who are doing exceptionally well in their chosen careers has profoundly enriched my personal and professional life in every ways. The Sauve experience shapes leaders to think globally but act locally.